In 1965, Johnny Weissmuller became the president of the International Swimming Hall of Fame, that with this charge in 1970 was present at the Commonwealth Games in Jamaica and was introduced to Queen Elizabeth. 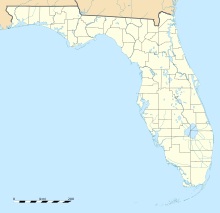 ISHOF was incorporated in Florida as a non-profit educational corporation on November 23, 1964, with Buck Dawson, as its first executive director. Nine months later—in August 1965—a 50-meter pool, 25-yard diving well, and warm-up pool were completed. This initial part of the Swimming Hall of Fame complex was dedicated on December 27, 1965, witnessed by 4,500 swimmers and other spectators from all fifty states and eleven foreign countries. In 1968, the then-Swimming Hall of Fame became the first world-recognized hall of fame in any sport, when the 105-nation FINA Congress met at the Summer Olympics in Mexico City and endorsed the hall of fame as an "International Swimming Hall of Fame". On June 16, 1969, the organization's Articles of Incorporation were amended to reflect that the name was changed to "International Swimming Hall of Fame". The first members of the hall of fame—a class of twenty-one—were inducted in 1965. ^ Litsky, Frank (April 21, 2008). "Buck Dawson, 87, Promoter of swimming, is dead". The New York Times. Retrieved 2013-09-06. ^ "History of Swimming in Fort Lauderdale and the International Swimming Hall of Fame". International Swimming Hall of Fame. Retrieved 23 October 2017.